A fun workshop for those of you who want to find your inner floral artist! We’ll use garden materials and home-grown flowers to create relaxed, informal flower arrangements. I’ll also show you how to use supermarket flowers and make them look a million dollars! We’ll cover the basics of making a hand-tie, and how to get the most out of your cut flowers. 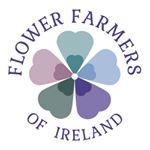 Course cost is €40 which includes all flowers, refreshments and a handout. As with all our workshops, we keep the groups small so that everyone benefits from the experience, so places must be booked with a deposit (€15).